To explore the association between orthostatic hypotension (OH) and frailty for hospitalized older patients and their vulnerable subgroups. A prospective, observational cross-sectional study. 693 older patients admitted to a geriatric evaluation and management unit. Barthel Index, Lawton’s instrumental activities of daily living, clinical frailty scale, mini-mental state examination, geriatric depression scale, mini-nutritional assessment, and polypharmacy. Overall, the prevalence of OH and frailty was 26% and 36%, respectively. Subjects with OH were older, thinner, more commonly to have weakness, slowness, poorer physical function and higher levels of frailty. The prevalence of OH was substantially increased as higher levels of CFS (p for trend <0.001). Multivariate logistic regression showed significant association between OH and frailty (OR: 1.8, 95% CI: 1.2-2.7), but the association attenuated after adjustment for physical function. (OR: 1.4, 95% CI: 0.7-2.6). 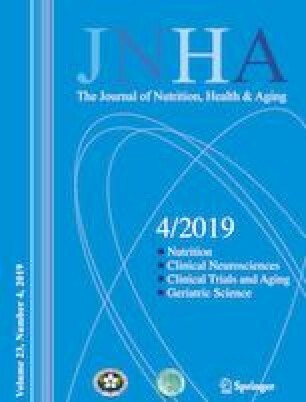 Nevertheless, associations between OH and frailty remained significant among vulnerable subgroups like women, subjects having weakness, slowness, poor cognitive function, polypharmacy or any IADL limitation. OH in hospitalized older patients was associated with frailty and multiple complex care needs, especially in the vulnerable subgroups. Further study is needed to clarify the roles of OH in clinical practice.